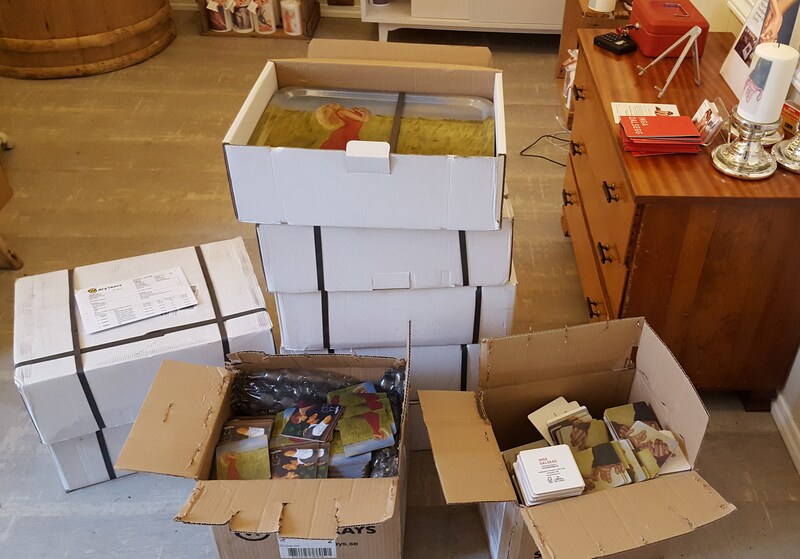 Today 9 boxes full og Inga-merchandise arrived here at my art studio! The coasters arer 9x9cm, – whjich is the same size as the old ones. 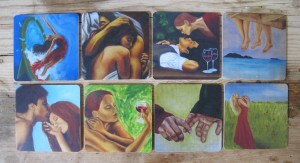 I will still sell these as a set of 4, – but now with the option of choosing freely between 8 different motifs. In addition I have a new motif on my art candles, – these are made by Løiten Lys Candle Factory as always. 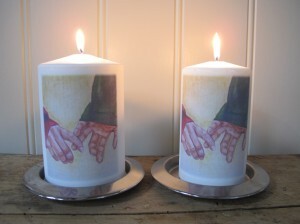 The motif is one of my recent papyrus paintings, and it has been printed on both small and large candles. The big candles have a diameter of 9,5 cm and the small ones 8 cm. Both sizes are15 cm tall. 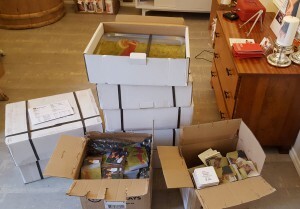 I am really looking forward to bringing all of these new products to all the Christmas fairs! And on Sunday 6th December at the Christmas fair at Sunndal kultuhus. 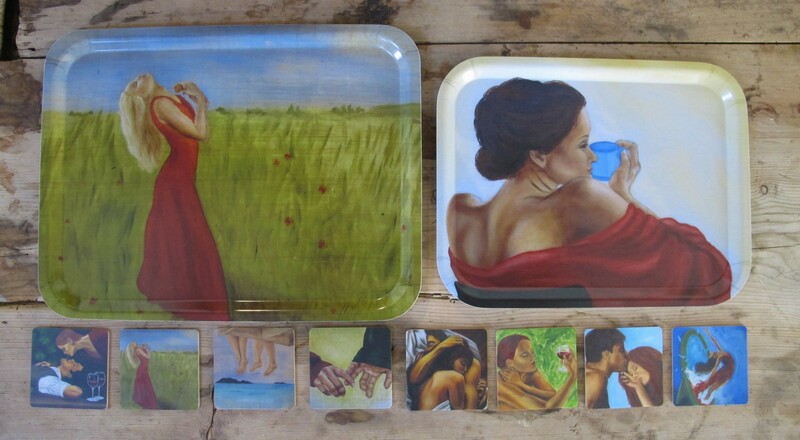 I will bring both my art and my art merchandise to all of these fairs. I will also keep my art studio open on evenings and at weekends in December, except from when I am away at exhibitions and fairs! I will post more information about that later. Naturally, you can pop by my art studio at other times, or use my web shop here on my web page. You can also read more about all of this on Trollheimsporten.